If you follow me on instagram you'll have already seen a few photos, but I wanted to properly introduce you to Soba, my pet hedgehog! 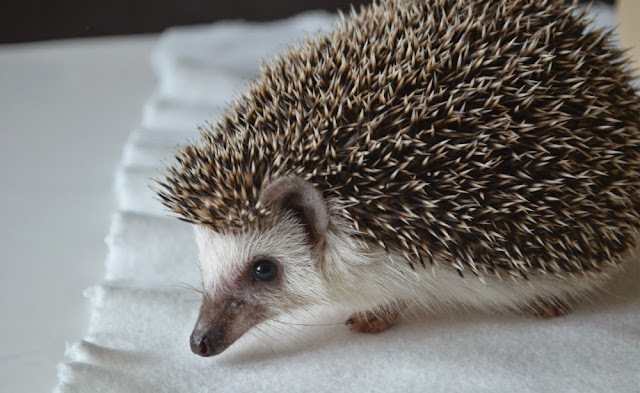 Soba's a baby African Pygmy hedgehog, which is why he looks a bit different (and cuter!) than native UK hedgehogs. I had been thinking about getting a pet for ages, but was really struggling to find one that fitted into my life. I live in a small flat, so I had to think about how noisy potential pets would be, how much space they'd need, and how much attention they'd require on a daily basis. I bought books about birds, I quizzed everyone I knew with pets, and I watched about a million pet videos on youtube looking for inspiration, but never even considered hedgehogs - I didn't know you could actually own one, until my friend Eilidh bought a baby hog called Bonnie, and my mind was blown. It was a no brainer - hedgehogs are pretty ideal pets if you want minimal effort, but maximum cuteness. I bought Soba from a breeder in Scotland at the end of March (he cost £150, including a deposit). Hedgehogs live between 4-6 years, and are solitary animals, so are happy in their own space. They're nocturnal, so sleep all day (as he's a baby, Soba sleeps up to 22 hours per day! ), which means I have zero guilt in leaving him to go to work, or if I'm away from the flat for a night. They are super quiet animals too (although they make hilarious huffing noises), and are very clean pets - Soba litter trained himself within a few days, and I only need to clean out his cage about once a week (although I do clean the litter tray more frequently). He eats cat food and mealworms, and can also be given vegetables and fruits, so it's cheap to feed him too. They are obviously also ADORABLE, but are very shy animals. Hedgehogs don't naturally want to be your pal, so it takes a lot of time and patience to get them over the idea that you are going to eat them, and be relaxed around you. Soba's definitely getting better, but he still balls up whenever I pick him up, and takes a bit of time before he relaxes in my hands. His spines aren't super sharp (they feel like the bristles on a hairbrush), but it does feel very, very strange to hold a spiky ball at first! If you are looking for an immediately cuddly pet, then hedgehogs ain't the one for you, but if you're into persuading grumpy things to like you (like I am), then they are worth it. 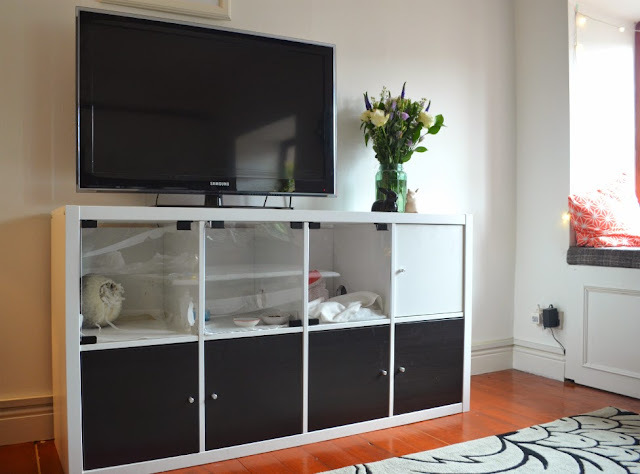 As I don't have much space, I knew I wanted to make Soba a space that would fit into my home. With the help of Joshua, boyfriend-extraordinaire, we took an Ikea Kallax bookcase, and hacked it into a hedgehog house. Soba lives on the top level, and the bottom level houses all of his stuff (we originally thought about making a multi-layered cage, but it was too much to tackle!). We bought a backing board (that lets air circulate at the back), drilled round holes between each room, and made perspex doors with magnetic clasps. 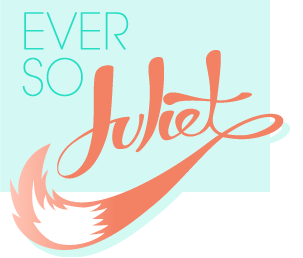 It was an exhausting project, but I'm SO pleased with how it turned out. Soba seems pretty happy with it too! 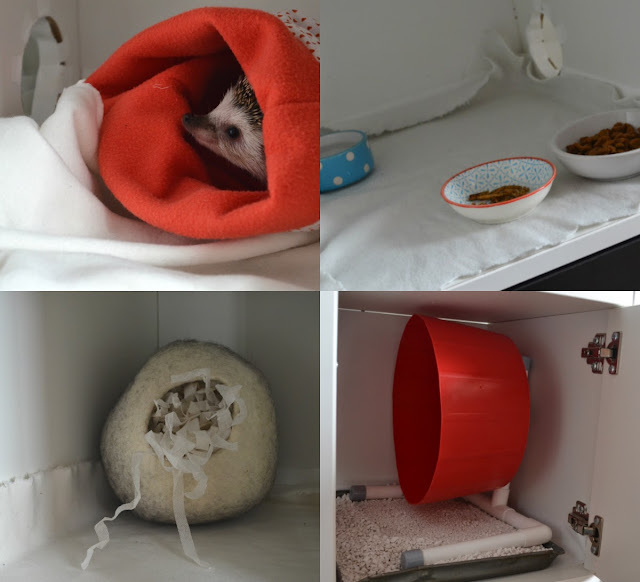 The cage is split into different areas, so he has two spaces for sleeping and burrowing, a space for food and water, and a space (behind the white door) for his litter tray and wheel - hedgehogs love to run, and love to poo while doing so (lovely), so this keeps it all behind doors! The whole space is covered with vinyl so it can easily be cleaned (and the bookcase won't get damaged), and then lined with fleece bedding. I've been looking into getting more toys and things for him - he has a little ball that he plays with, and is a big fan of cardboard tubes, but I'd like to put more in his cage. 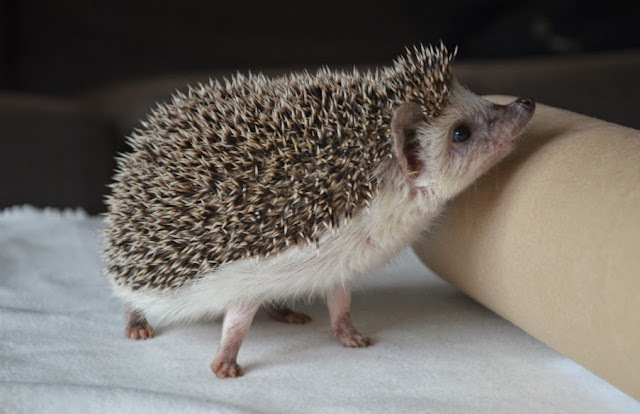 Hedgehogs are still pretty unusual pets, so it's hard to work out what they're into (especially as most hedgehog advice forums are fairly terrifying places that tell you to avoid all the things), but it's a work in progress! Hope you enjoyed a glimpse of Soba! If you've got any questions, just let me know, and keep an eye on my instagram (@eversojuliet) for more hedgehog photos. Soba is so adorable, I had to show everyone in my house this blog post. They all agree. Adorable! I'm actually short of breath he's so bloody cute. 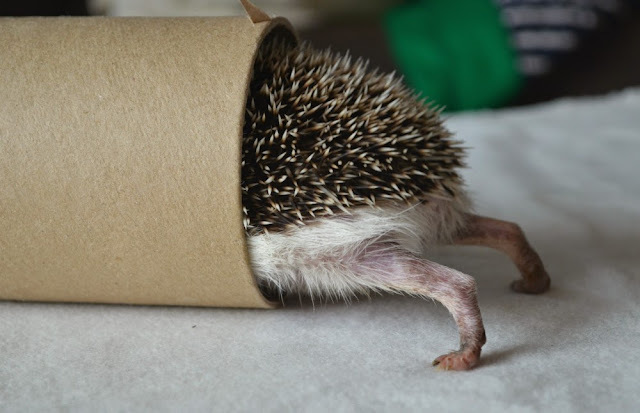 That photo of him in the tube with his wee legs! Incredibly jealous of his habitat - I really wanted to do something similar with the gerbils. Do you fancy lending your boyfriend out for a day or so to come and do one for me?! I empathise with the wheel/pooing situation as well. The gerbils do that too. Why? WHY? !